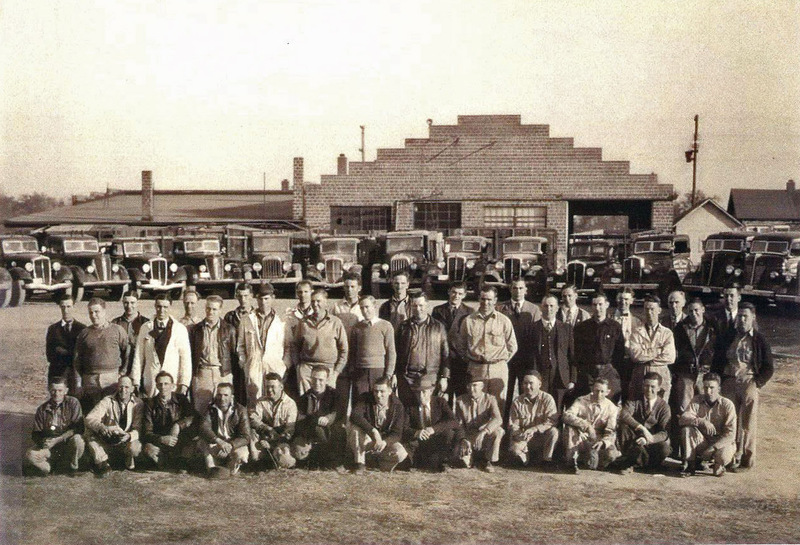 John W. Shults and his Sales and Service Company in 1937. Appliances sold along with gasoline. John W. Shultz was born in Waynesfield, Ohio, graduated from Delaware High School and attended Ohio State University to study ceramic engineering. 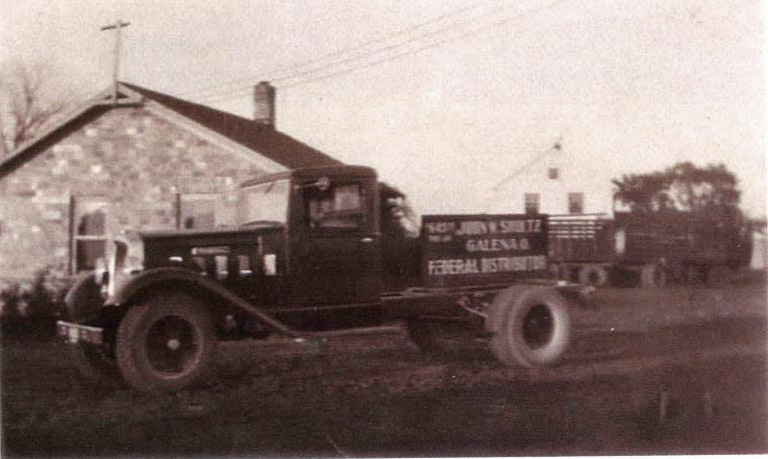 In 1931 John and his wife Esther (Frye) and Garnet McGlothlin and his wife bought property from the Galena Brick Plant along 3-C Highway (Old) and each built a 20'x20' foot three room house for his family In 1932. John started a trucking company to haul brick for the brick plant. This business was headquartered in his home. 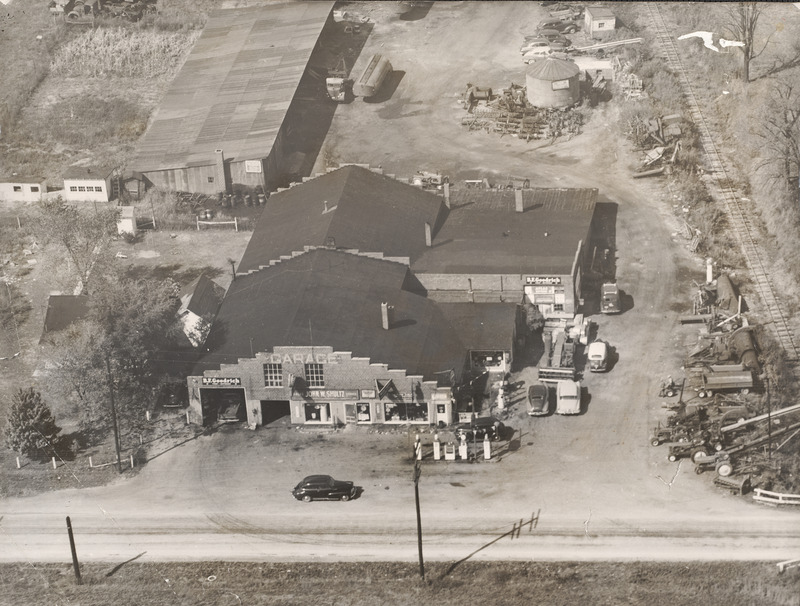 In 1936 John and Esther purchased a 22 acre farm with a house just north and moved their home there while keeping the other site for the business. On this farm they raised vegetables, chickens and dairy cattle. At their roadside farm market they sold milk, butter, eggs, dressed chickens and vegetables. Esther hand churned all the butter and dressed the chickens. 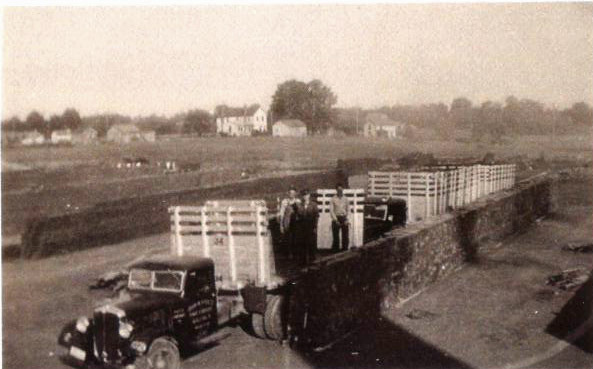 The dairy business grew rapidly so in 1937 they started a dairy route. 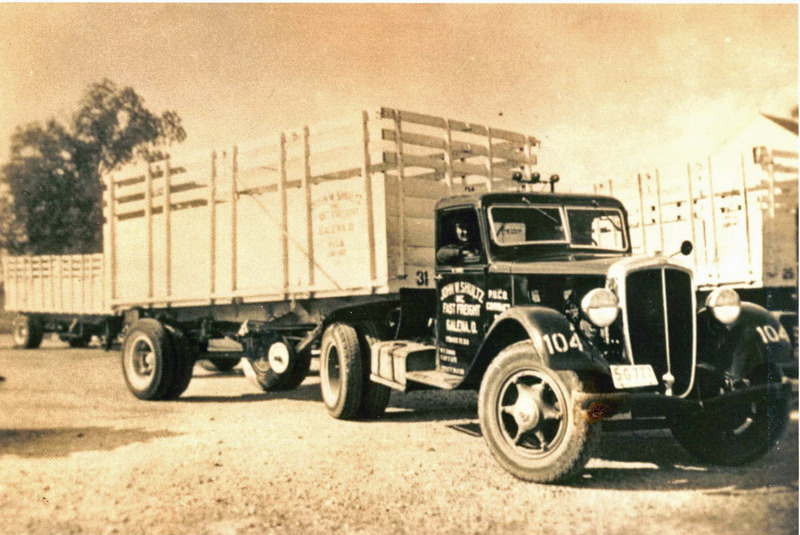 John operated the trucking company while Esther managed the dairy business. as the dairy grew, the couple added another nine acres to their farm. The house on that property was used for the farm workers. Over the next two years they purchased more land. In 1938 they bought the Frye place on Carters Corner Road. They were now milking 100 registered Guernseys. They pasteurized and homogenized the milk. When paper cartons became popular, they sold their milk route to Bordon and continued to sell milk to Bordon until John took over a more active role in the brick plant in 1957. 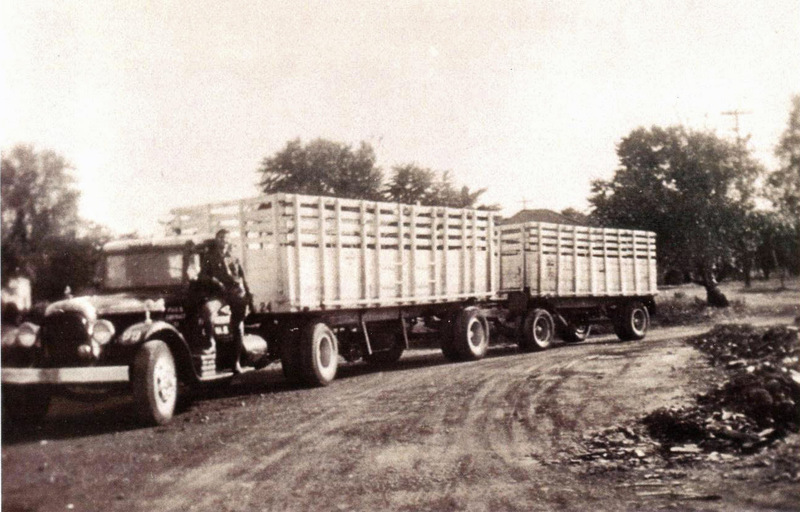 John's trucking company hauled brick to Cincinnati and back-hauled steel to Columbus. 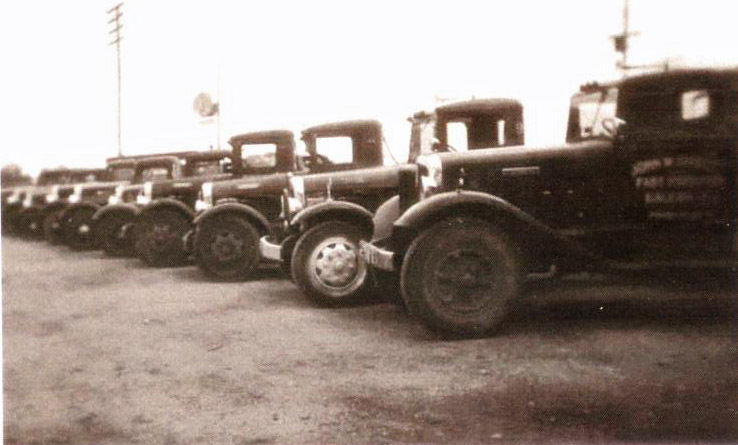 The trucking company started with one truck in 1932 and grew to 55 power units in 1942 including one of the largest wreckers in Ohio. 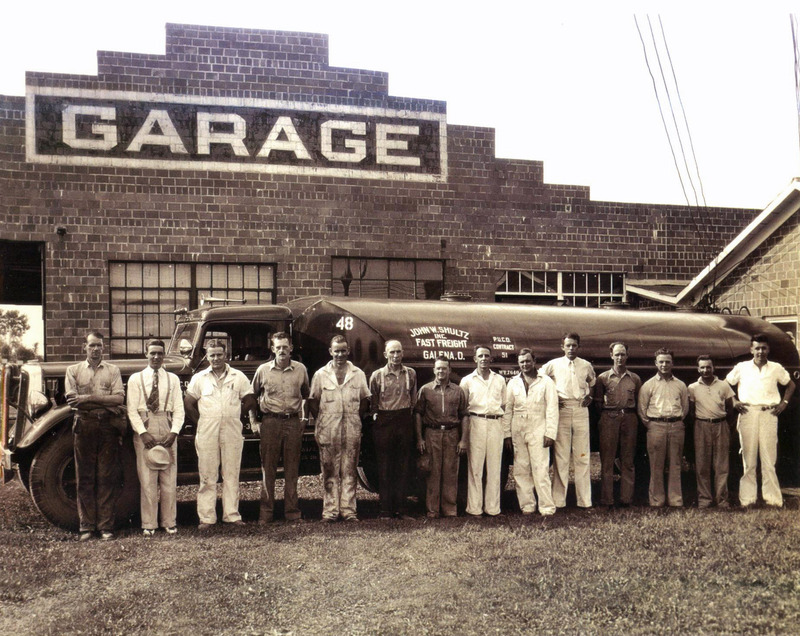 In 1936 John bought a tanker truck to haul gasoline for Standard Oil. He also hauled for Sun Oil and Pure Oil. 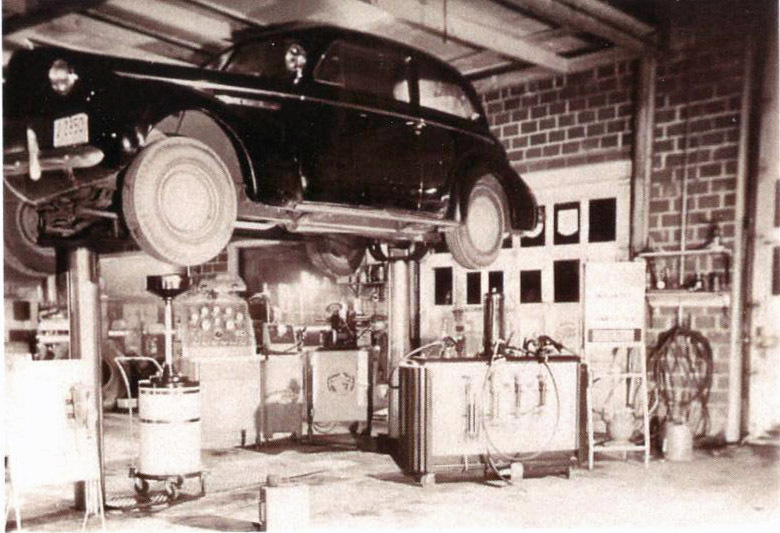 His service station was open 24 hours a day from 1935-55. 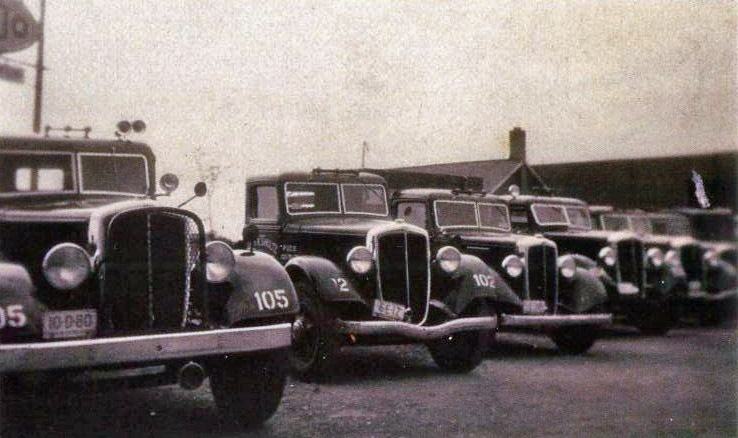 In order to procure parts more reasonably, they became dealers for various items such as Federal Motor Truck Company (which later became Federal-Shultz), automobile parts, tires, batteries and hardware supplies. They sold for various farm machinery companies. Lester Mickle was their truck salesman for 3 counties. This grew to 17 ounties and became known as the Federal-Shultz, Inc. which was headquartered at 644 North Fourth Street in Columbus. The salesman not only sold trucks, they started selling Maytag washers which led to selling other appliances, fencing, paint and other hardware. They became one of the original first two New Holland baler distributors in Ohio. 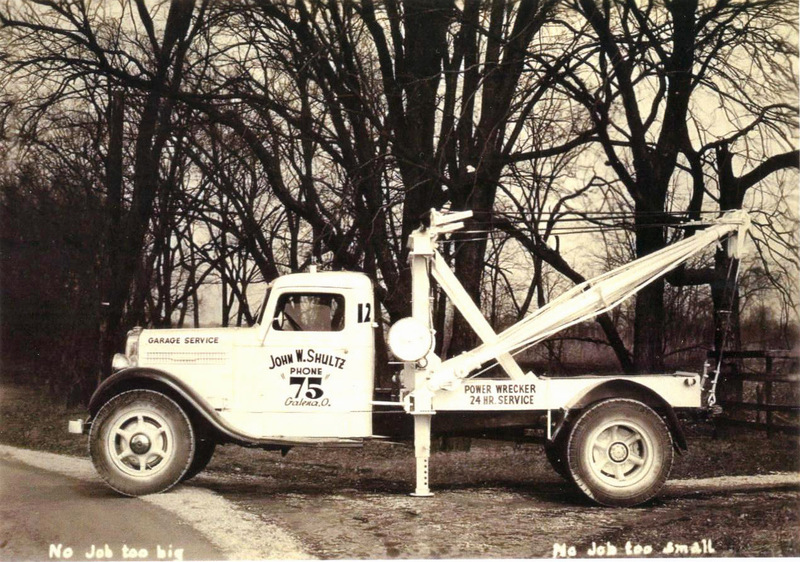 Meanwhile John's wrecker led to a contract with Greyhound to haul buses from various cities throughout Ohio to Columbus for repair. 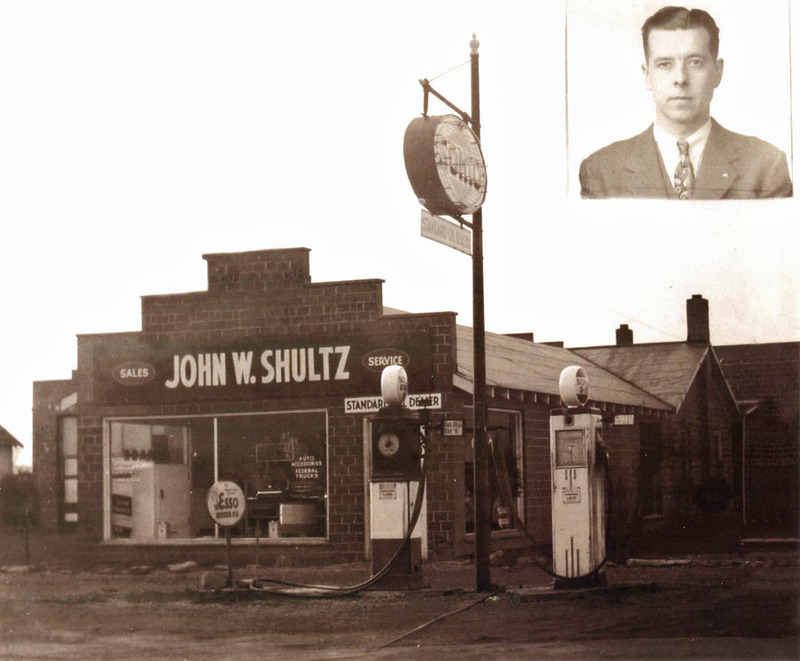 Seventeen of Shultz' employees were drafted during WWII. John served as a commissioned officer in the Navy in 1944-45. 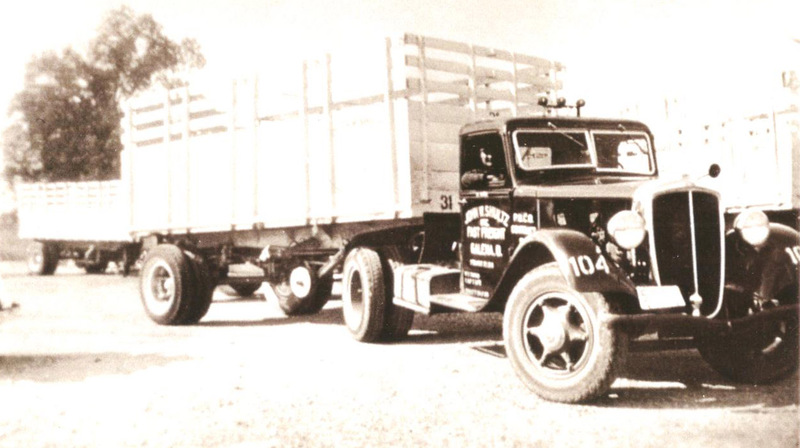 He was stationed in Washington D.C. where he put his knowledge of freight hauling to work as officer in the Transportation Division of the U.S. Navy. He got the new direction-finders for guns (used to shoot down suicide bombers before they crashed into the carriers) on board ships from the plant where they were manufactured 5 at a time in Pennsylvania to the Pacific war zone. He received a Letter of Commendation for Service from the Secretary of Navy Forrestal. Meanwhile at home, Esther, her sister Virginia Franklin, as well as other members of the family, friends helped the employees continue to operate the tank and truck business as well as the dairy farm and the home-delivery route. 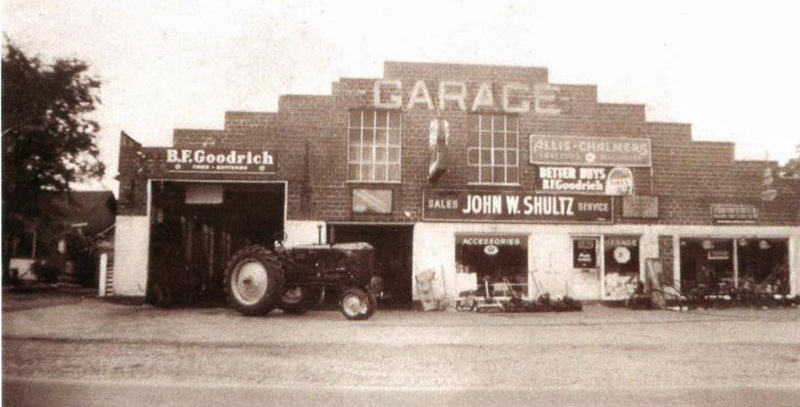 In 1953, John sold stock in the motor carrier operation but kept control of the property and the buildings. Already known as the Sales and Service Company, John added a complete feedmill operation including a portable grinding service for Purina. 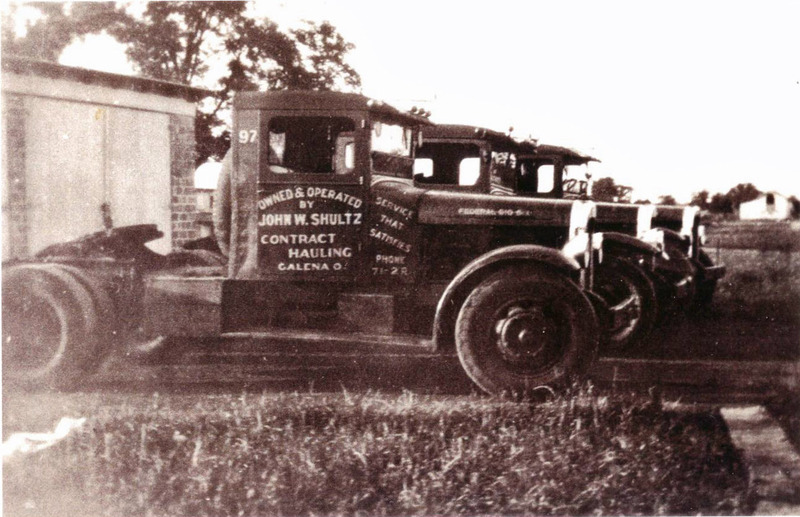 In 1957, John took over the management of the Galena Shale Tile and Brick Company. His father had been one of the founders of the business and John sat on the board and served as Vice President since 1937. 1937 - John is in the back at the right. 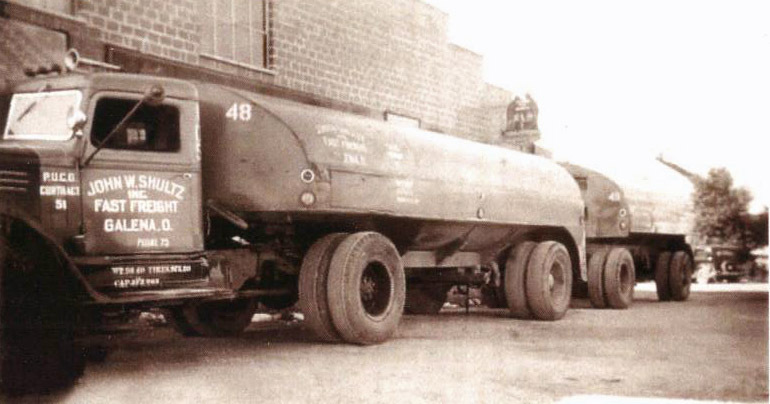 Tanker Truck in 1936. John Shultz is on the right. Aerial View Showing CCC Highway in front and the Dinky tracks on the right. The Dinky was a train which ran the two miles from the quarry to the brick yard. Thanks to Gene and Joan Fuller and The People Book article by John Shultz and his daughter Jane Shultz Davis.